The Butrint (Albanian: Butrint or Butrinti) foundation was founded by Lord Rothschild and Lord Sainsbury of Preston Candover in 1993. Originally an Illyrian town, it was taken by the Romans in 167 BC. It was later occupied by the Byzantine Empire and the republic of Venice, before it was abandoned in the late Middle Ages. The ruins, excavated after World War II, include an amphitheatre, a Roman bath, a chapel from the 5th century, a basilica from the 6th century, a town gate (called the "Lion Gate"), and a medieval venetian castle from the 14th century, which is a museum today. 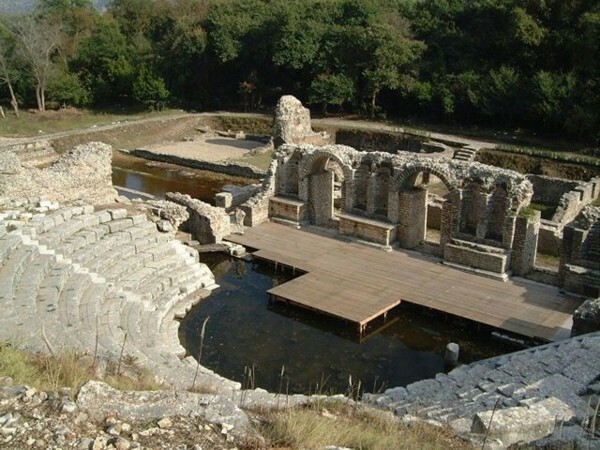 The remains of Butrint are included in the UNESCO World Heritage.